We print from client supplied files. To help out getting your Teatowel designed we are compiling a list of designers who we have worked with or have provided artwork to us for Tea Towel jobs previously. These designers have a good grasp of what is required. 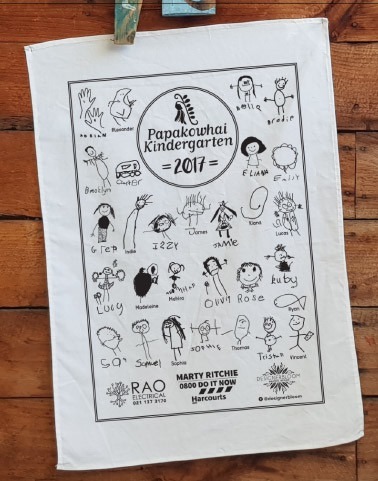 Sara-Jane of Designer Bloom designed the 2017 Papakowhai Teatowel. 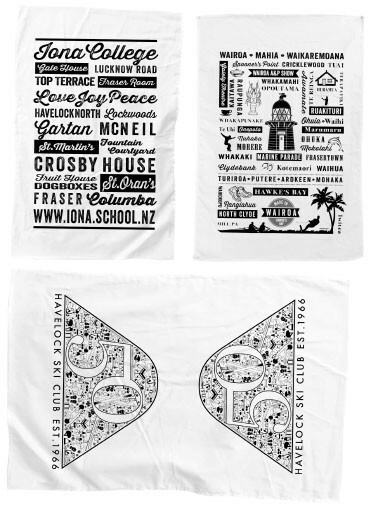 Sue Wilson of SMW Design has designed several Teatowels that have been printed by us. We print thousands of designs a year, often times we do not even know who the designer was. If you are a designer and we have printed your work (and you are open to being listed here) please do not hesitate to contact us and we’ll be more than happy to add you here. This entry was posted in Teatowels. Bookmark the permalink.